Is home whitening kit right for you? We’re all on the hunt for a whiter smile, whether we’re considering natural methods or professional services. Luckily, there is now a range of treatments available that can lift stains and lighten your teeth by several shades, giving you a natural-looking, brighter smile. The biggest decision to make when it comes to whitening is whether to have an in-chair procedure or use a take-home system from your dentist. In this article, we’ll explore what take-home kits involve and how they could be right for you. What Is a Take-Home Kit? At Anchorage Dental, we offer a simple and convenient system for you to whiten your teeth in your own home. Simply visit us for a consultation where we will take impressions of your teeth and make custom fit 1mm thin mouth guards to use with a whitening serum. We have been using a highly effective whitening gel that is manufactured in Australia that is shipped fresh from the factory in semi-refrigerated storage so it is substantially more effective than most other products available (www. http://www.polawhite.com/poladay-polanight) From this point, how much and how long you use it is up to you, with results becoming visible after 3 or 4 days of use for one hour per day. What’s the Difference Compared to In-Chair Whitening? As a cosmetic dentistry expert, your Joondalup teeth whitening specialist will use a stronger concentration of bleach for in-chair whitening. This is because it’s applied in a controlled environment and in an accurate way, all by a professional. In-chair whitening will take around 75 minutes with instant results. The most effective method for you will depend on the level of staining you have and the results you want to achieve. 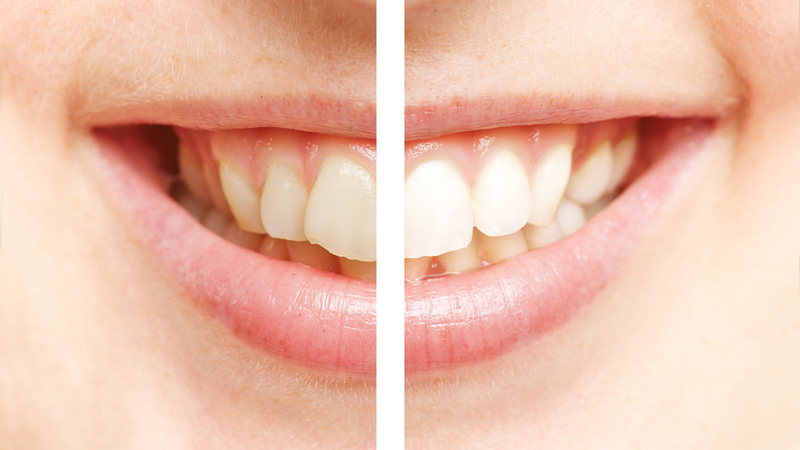 What Are the Advantages of Home Whitening? This method is a cheaper alternative to an in-chair procedure, and it allows you the convenience and comfort of using the treatment in your own home. Whitening at home is still perfectly safe when standard precautions are taken, and it will yield visible results over time. The Anchorage Dental home whitening system is made by a local manufacturer in Melbourne. This proximity means that the active components in the system can be constantly refrigerated to maintain the best possible standards of performance. Is Home Whitening Right for Me? If your teeth and gums are in excellent condition, and your level of staining isn’t too severe, then an at-home whitening kit from your Joondalup family dentist could be an excellent option for you. For those wanting to achieve a lighter, more natural shade, opting for a convenient self-treatment is a great choice. Whatever choice you make, it’s important to consult a dentist about your whitening needs and avoid online or over-the-counter purchases. If you’d like more information on whitening procedures with your local Mindarie dentist then call Anchorage Dental now on (08) 9407 7888. You can also visit us online for more information.